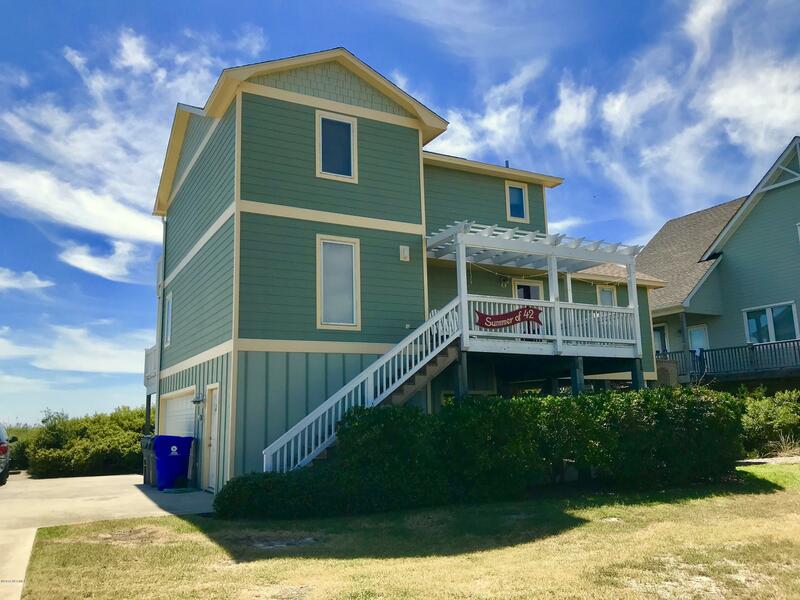 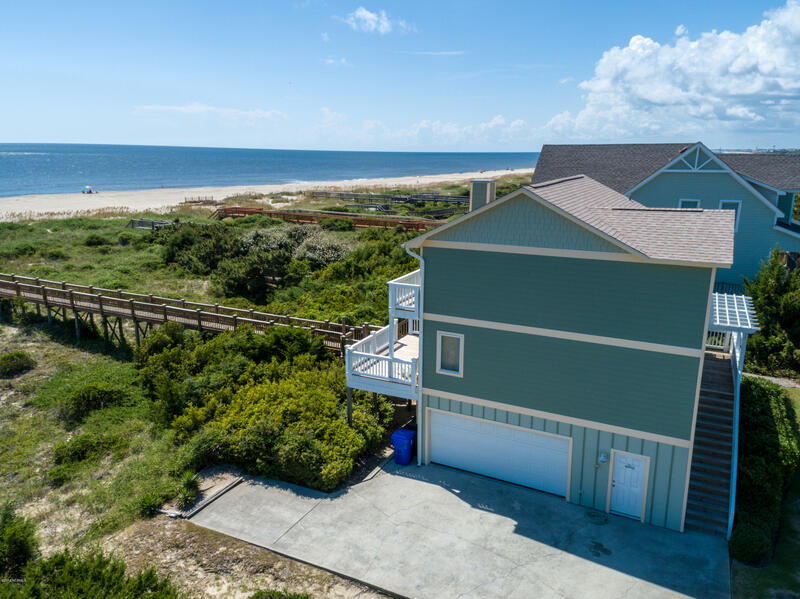 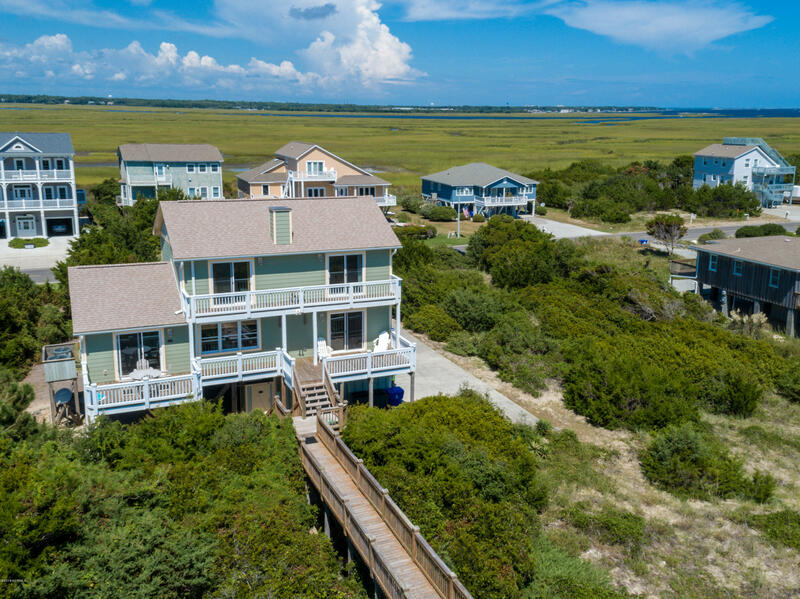 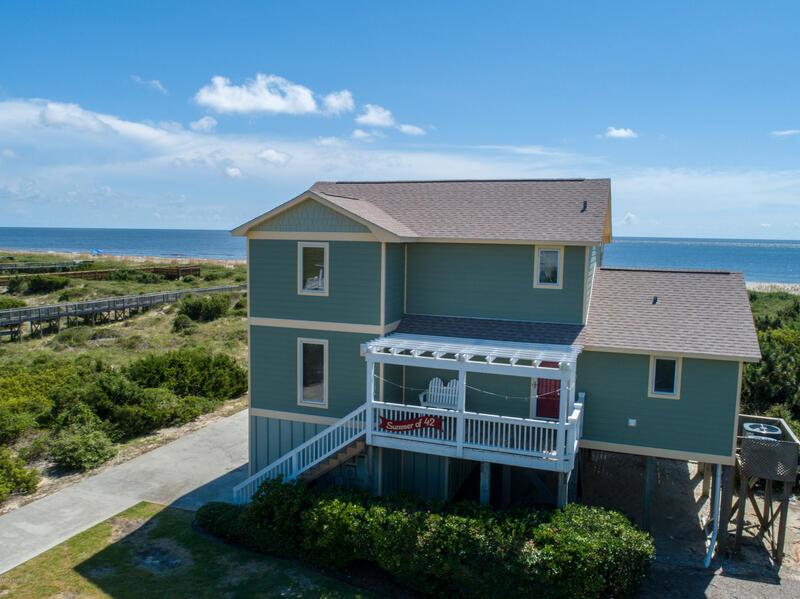 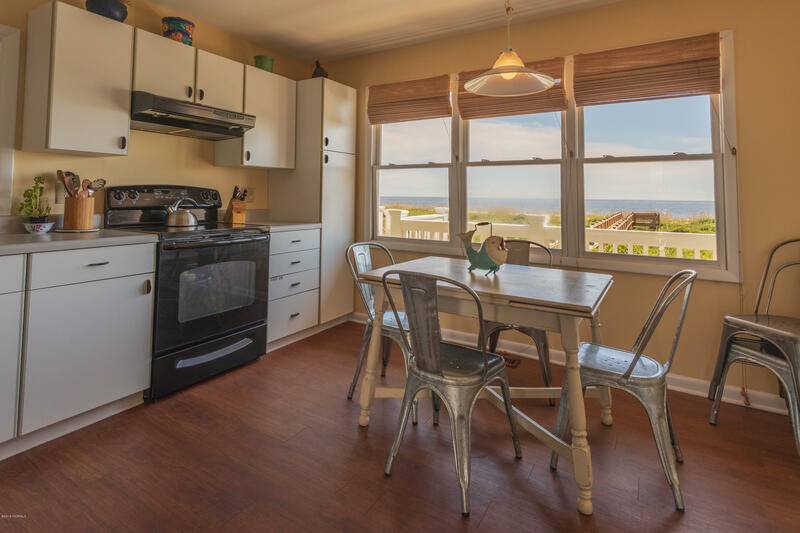 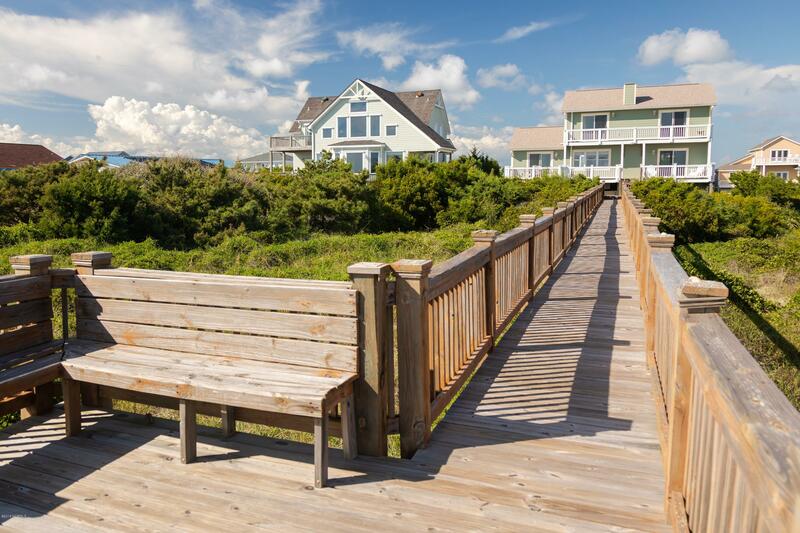 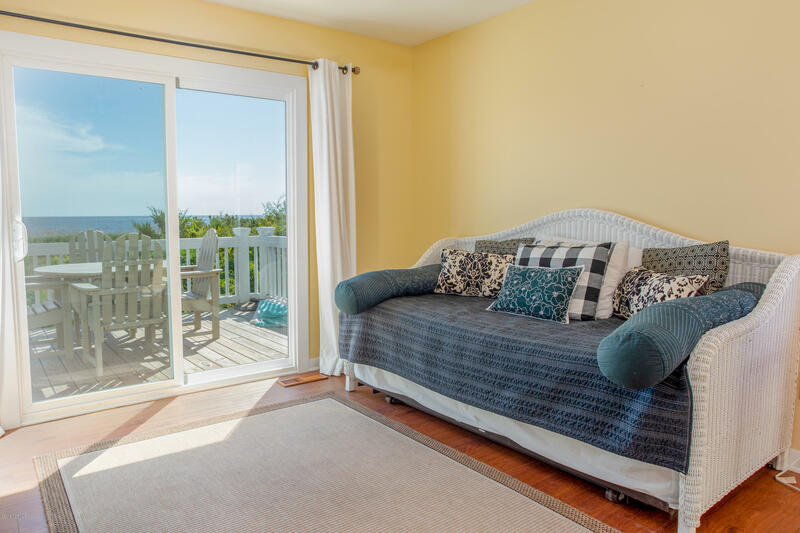 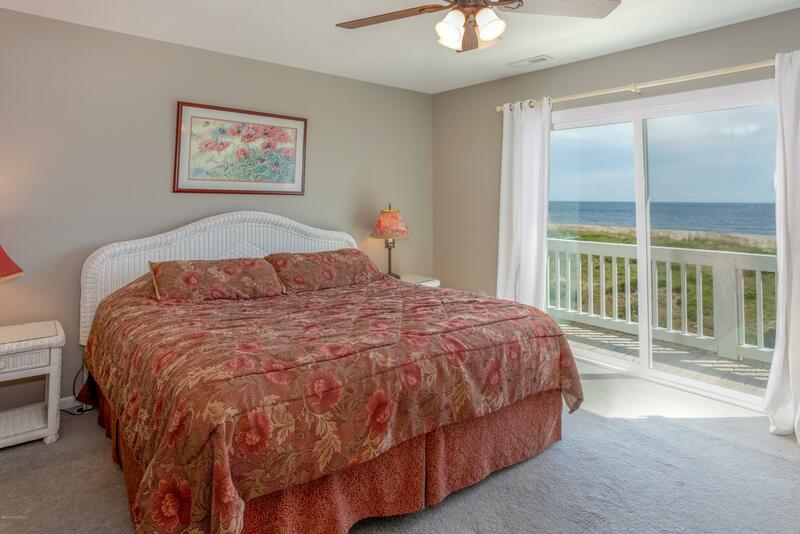 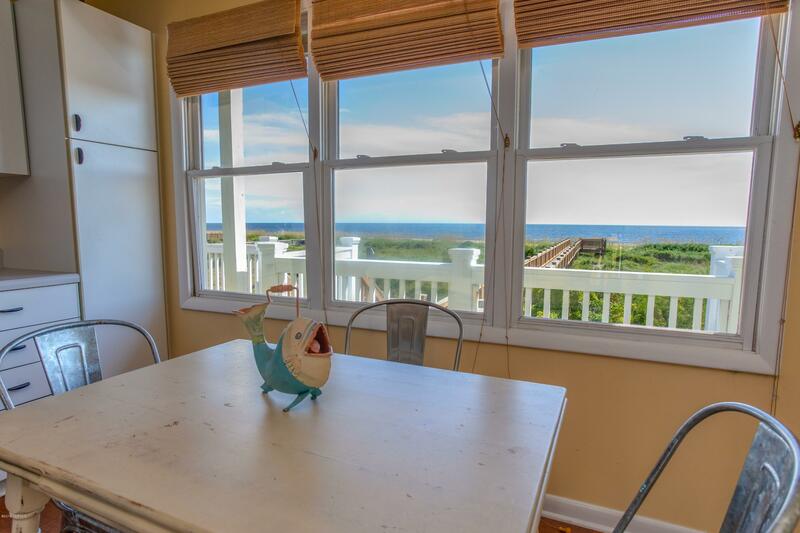 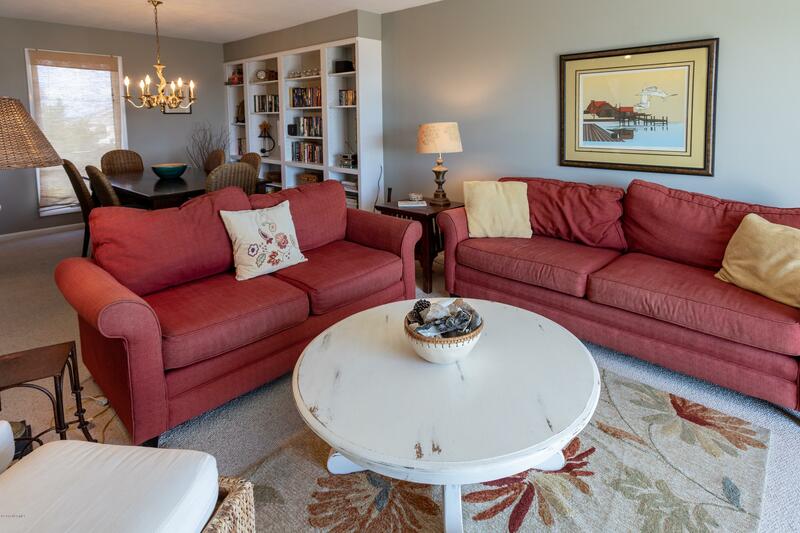 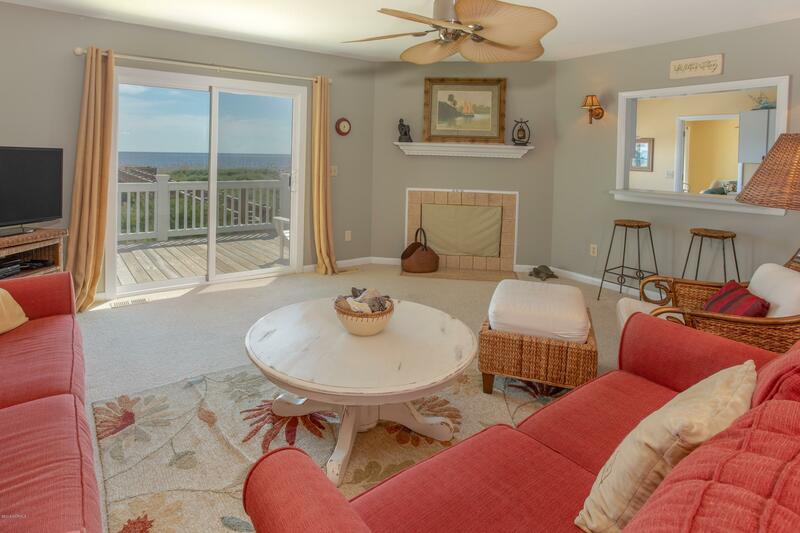 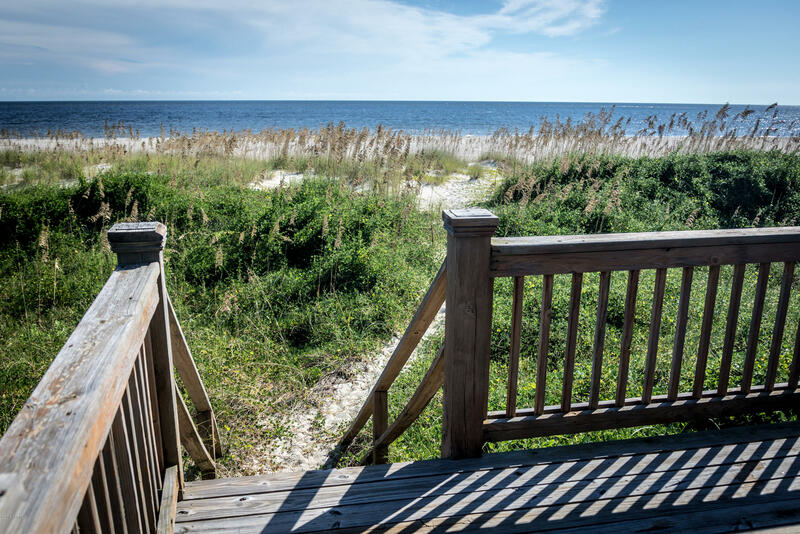 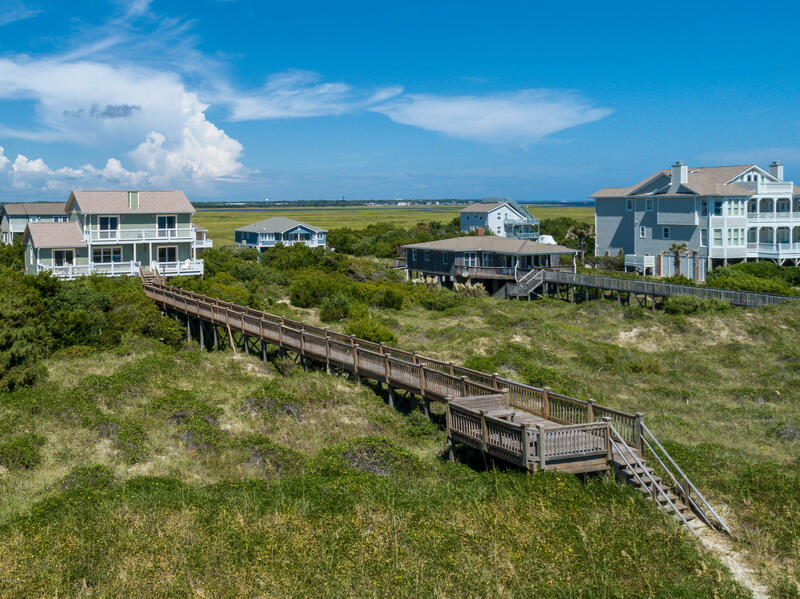 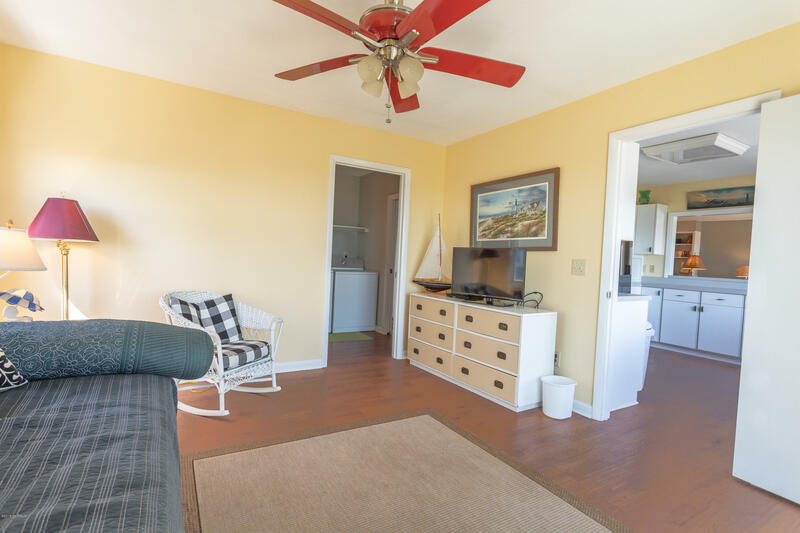 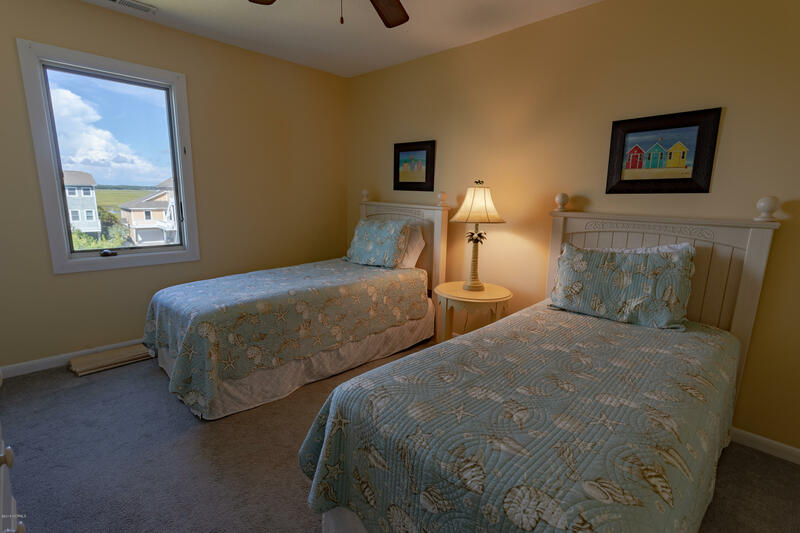 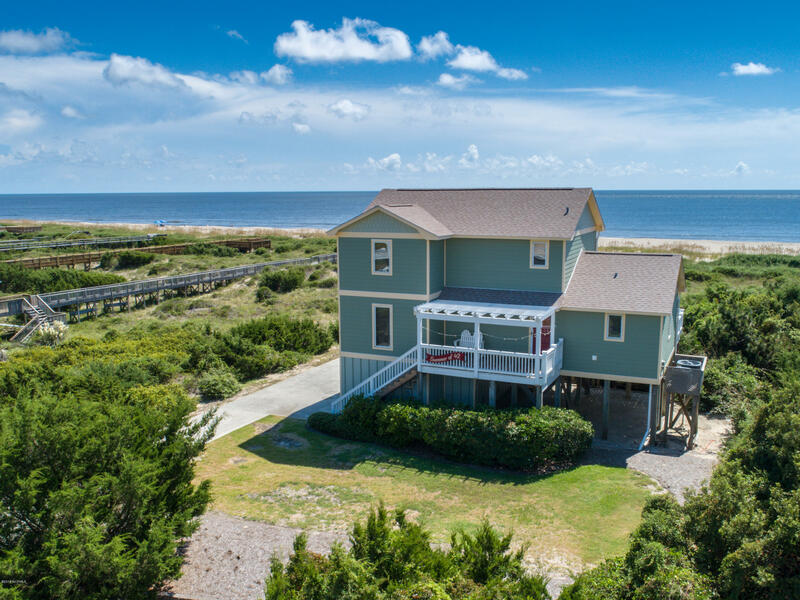 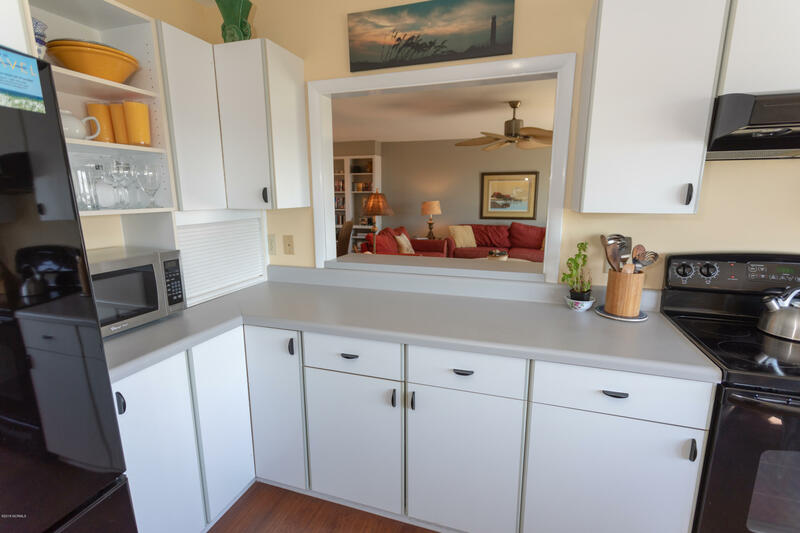 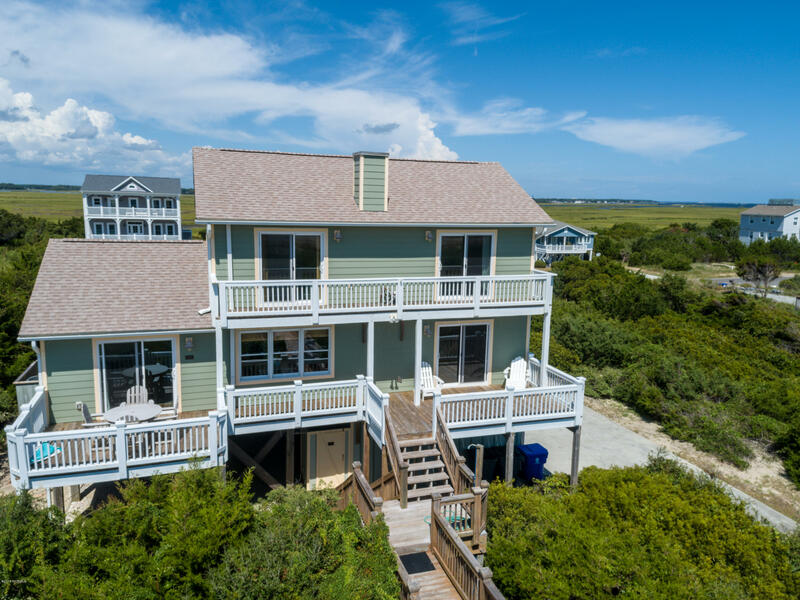 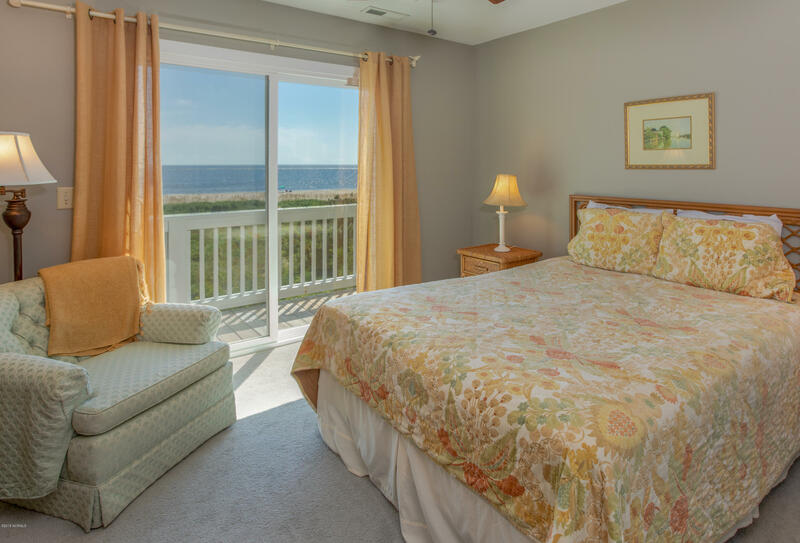 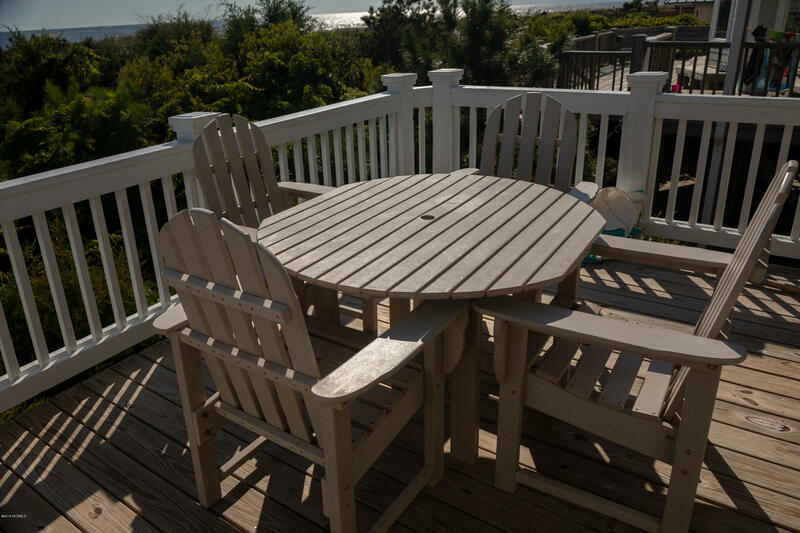 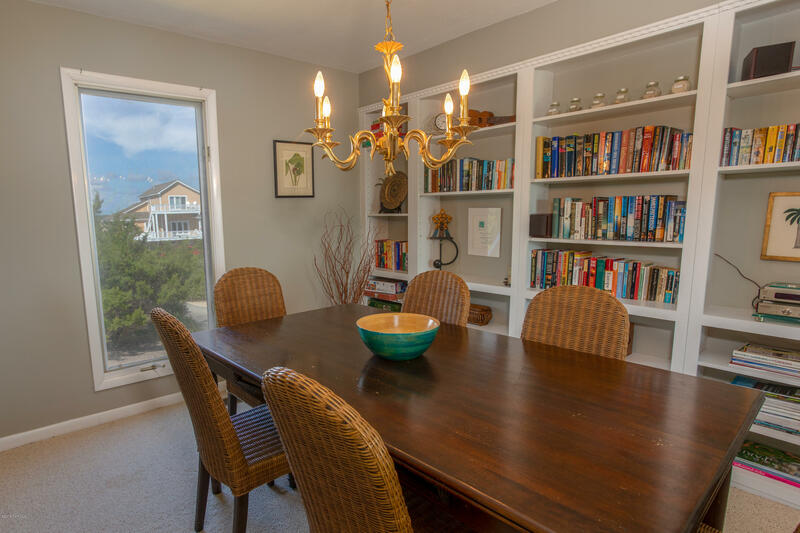 Captivating views from this oceanfront 4 bedroom, 2 bath home on Caswell Beach. 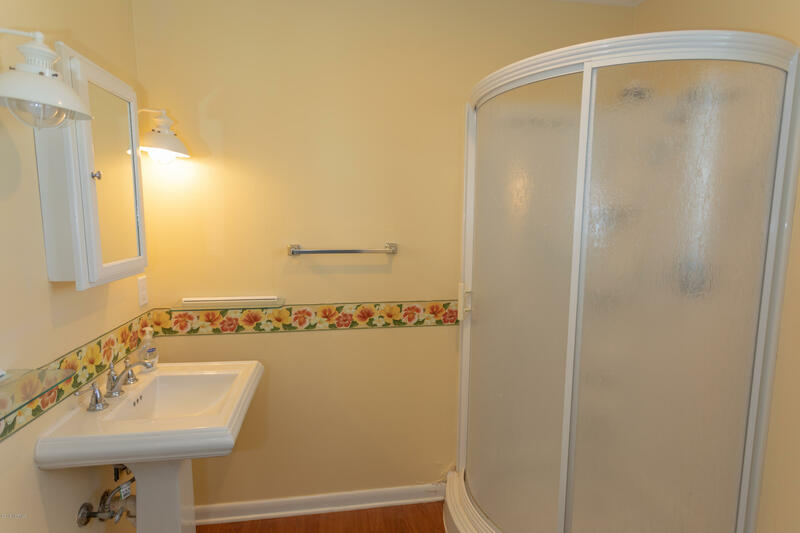 Three bedrooms and full bath upstairs, additional bedroom downstairs could be used as a Carolina/sunroom. 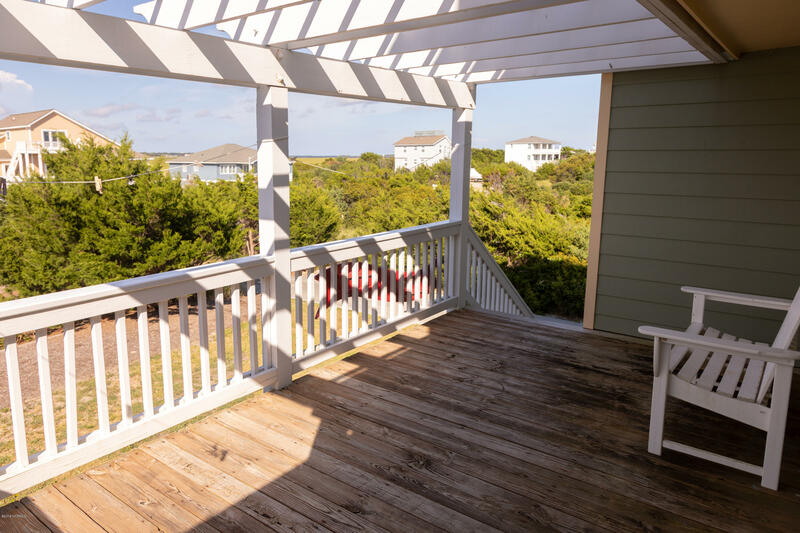 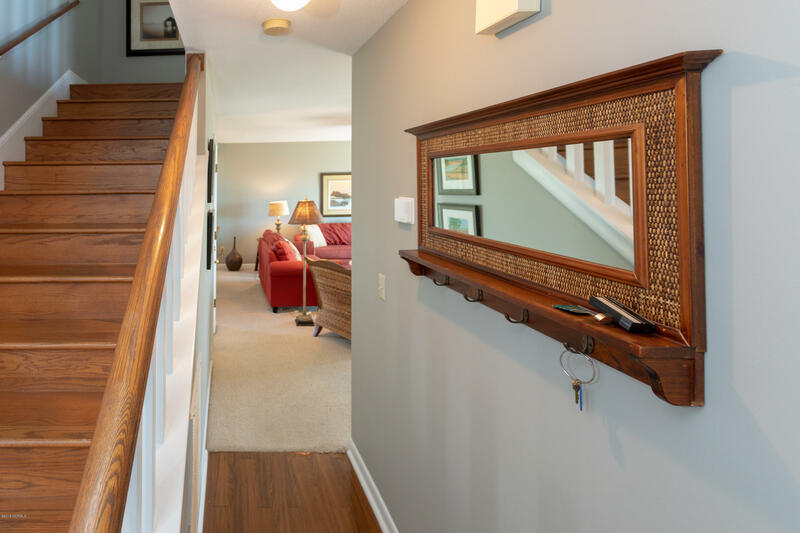 Deck access from two upstairs bedrooms as well as from the large living room and downstairs bedroom. 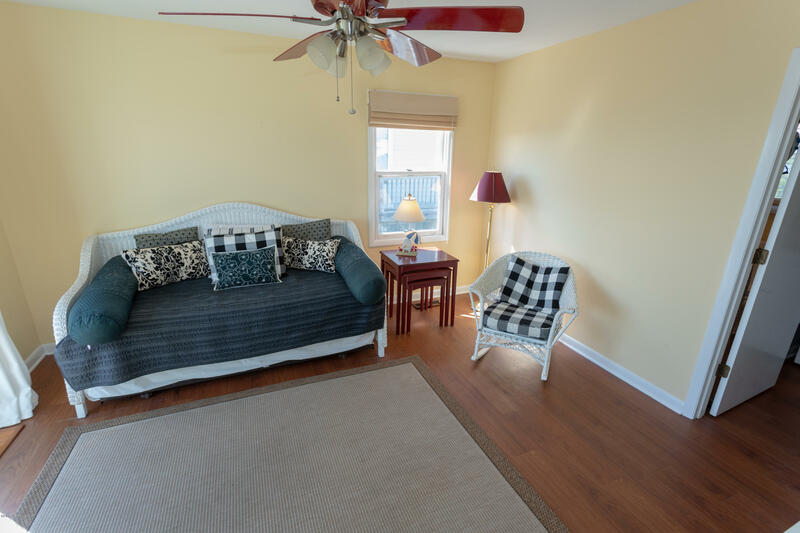 First floor also offers built ins for books and games or collectibles, as well as a full bath with walk in shower, and a laundry room with pocket door. 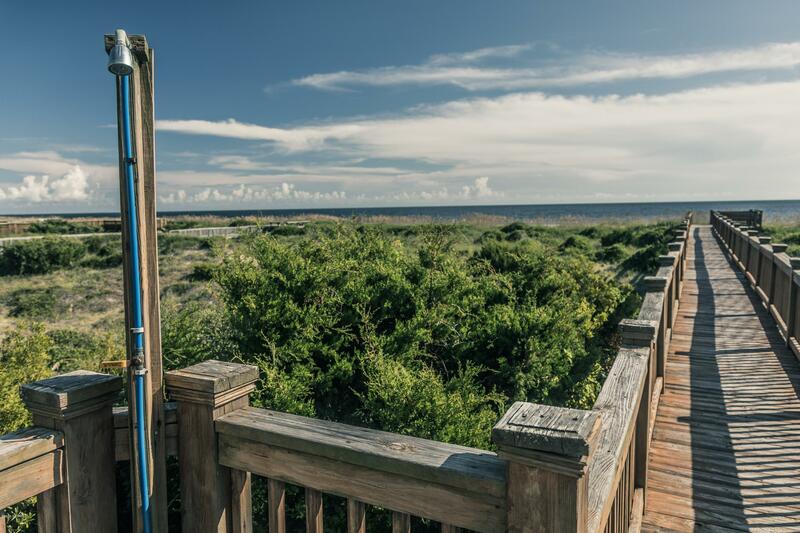 Picturesque views are the highlight walking out onto the deck as you see the expansive private walkway leading to the ocean. 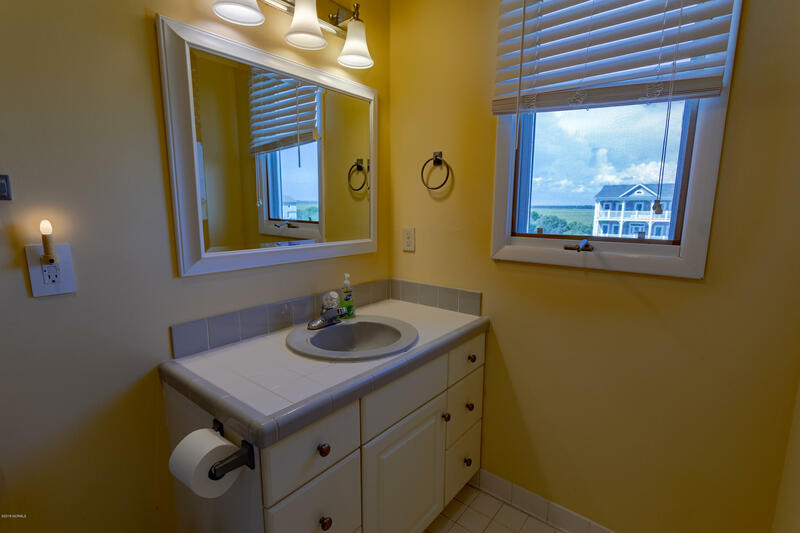 Two outdoor showers (one fully enclosed with hot and cold water), storage area and a two car garage make this appealing home even more so. 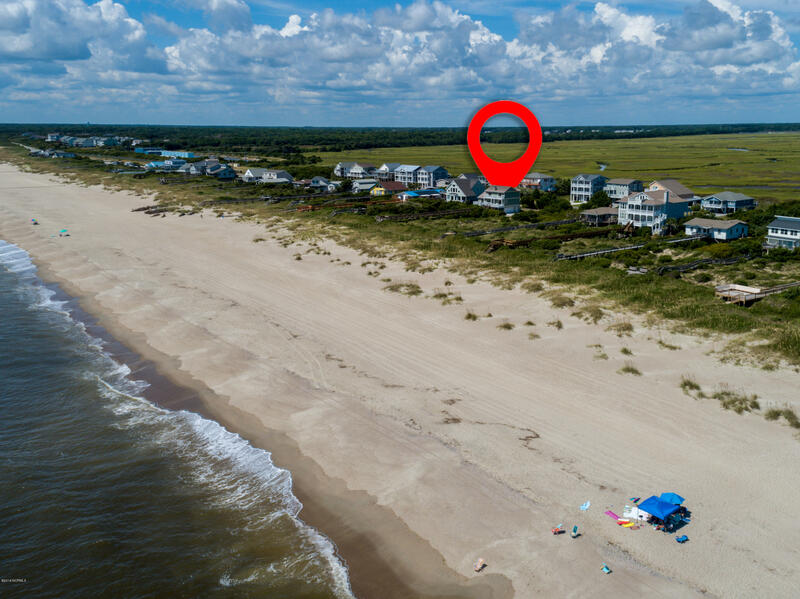 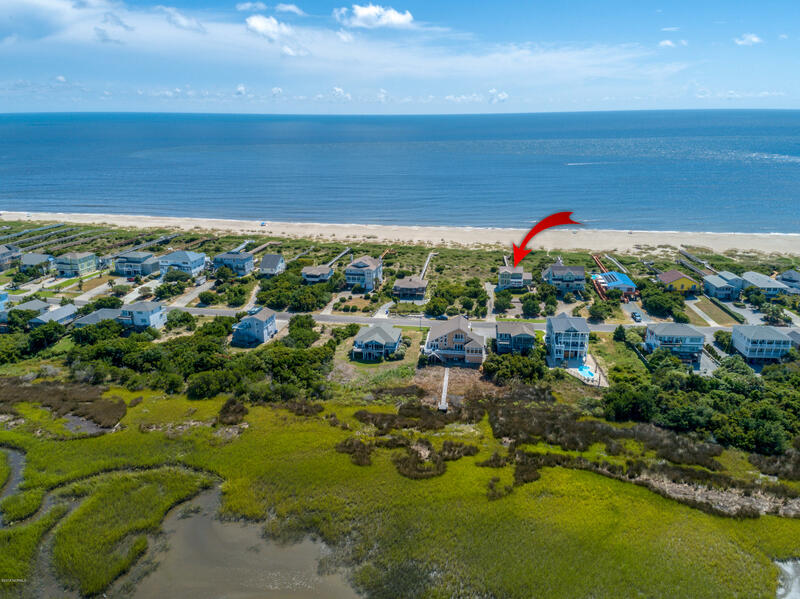 One of the largest lots in Caswell Beach at .47 acres.